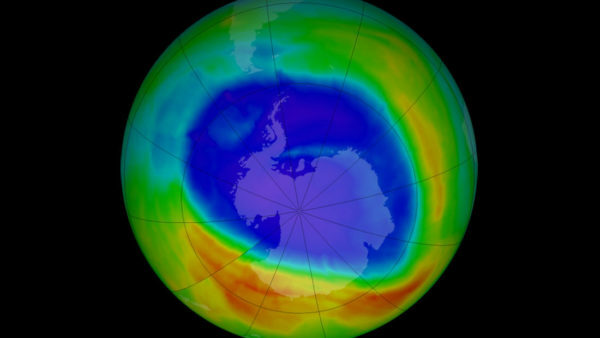 Scientists Have AMAZING News: The Ozone Layer Shows Signs Of Healing! Nature on its own has a remedy for everything. If we don’t meddle in the 4,6 billion year old entity’s way, the same that gave birth even to us, Nature will find a way to heal the damage we have caused. That’s exactly what scientists have discovered! The wound to the ozone layer above Antarctica, a menace to most of the marine food chain, is showing signs of healing. A Science paper reporting the news suggests we may be seeing the back of one of the worst environmental threats humanity has faced, and a vindication of the international cooperation that addressed the problem. Now is the best time to start taking responsibility for our actions and change the old ways that have created this problem in the first place. If we are more considerate about the products we use, if we stop doing things that worsen the ozone hole we may help Nature heal this wound in no time. It’s not too late to make a better world, or at least bring it back to health. IT WILL BENEFIT US ALL!